It’s a relief to no longer have to keep our spiffy new logo a secret. We unveiled our branding refresh this week, and the response has been extremely positive. We’ll be rolling out new merch and swag in the coming weeks and months. 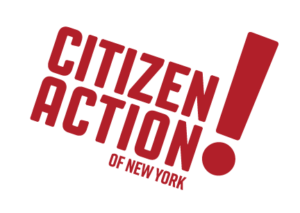 But don’t get rid of your old Citizen Action gear: it’s vintage now. 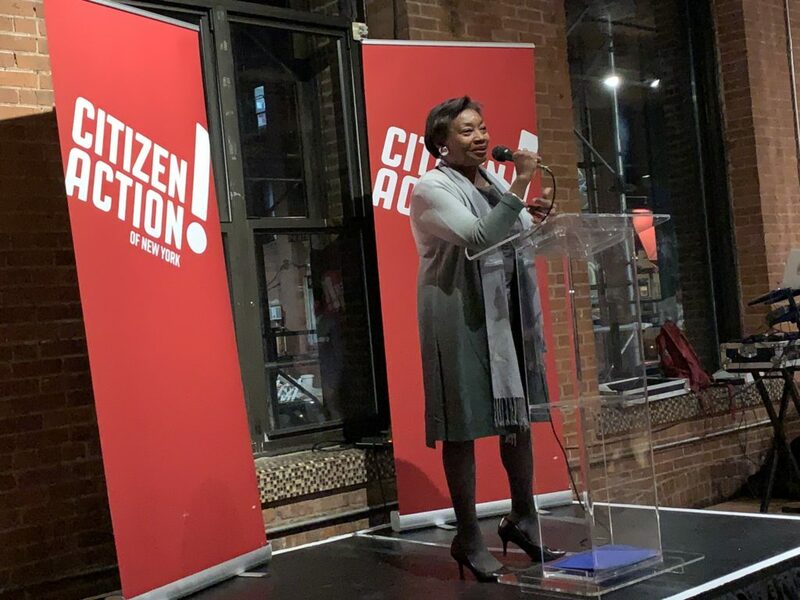 Citizen Action held its Bridge to the Future celebration in Brooklyn to honor our outgoing Executive Director Karen Scharff. 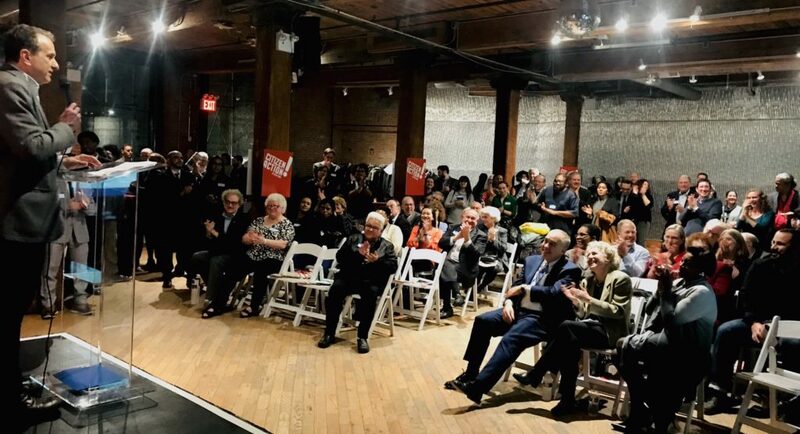 Democratic Majority Leader Andrea Stewart-Cousins, Comptroller Tom DiNapoli, and many other state and local leaders were on hand to recognize Karen’s incredible achievements. 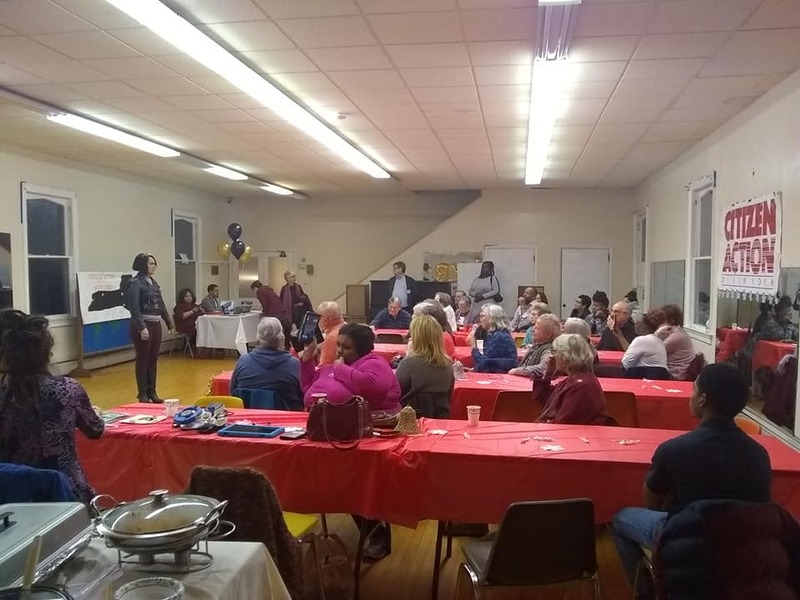 Our Utica chapter held a community event to celebrate its first birthday. We’re proud of the movement energy we’re building in Central New York. In Kingston, local leaders hit the streets to talk to their neighbors about housing justice and the need for tenant protections. 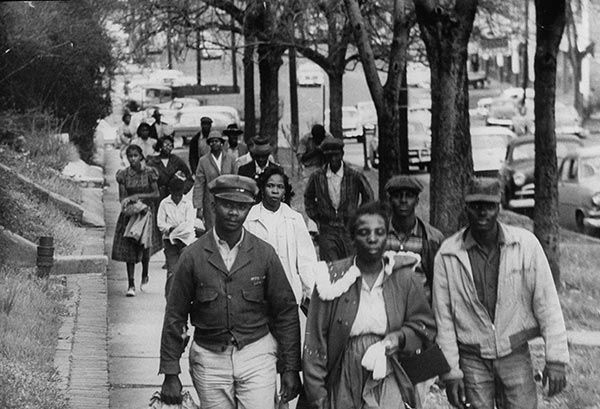 On December 5th 1955, Black community members in Montgomery, Alabama launched a boycott of the city’s bus system in response to the arrest of Rosa Parks five days earlier.